The Hard-Traveling Fanboys are the Longest-Running Weekly Episodic Comic Book Podcast in ALL of Place to be Nation. 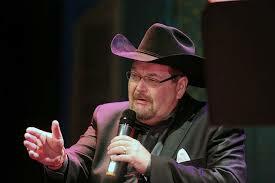 Together with the Manager, Todd Weber, the HTF celebrate THREE YEARS of weekly broadcasts by presenting a carefully-curated selection of the greatest musical appearances from Good Old JR himself, WWE Hall of Famer Jim Ross. Jim’s unique vocal stylings are the only way to truly recognize the singular achievement of never once missing, nor phoning in an episode.